I resent washroom lines. I particularly resent interminable waits to use a women’s washroom while men cheerily stream in and out of theirs. My irritation has even spurred me take matters into my own hands and use a men’s washroom — occasionally encountering surprised gents when I do so. Imagine my delight when, on a recent trip in Sicily, my husband and I went to use the washroom and found ourselves standing in the same line. My usual frustration was greatly diminished by the muttering, whining and complaining of the men who were forced to wait as well. The experience led to an epiphany: Fairness isn’t achieved by giving each person access to the same number of washrooms. It’s achieved by having each person wait in line for the same amount of time. This could be classified as fairness of outcome rather than fairness of input. Not only does this make sense for washrooms, but it has considerable merit in another area where women are often given a raw deal: caregiving. Informal and unpaid caregivers in Canada shore up our health-care system. A 2009 study estimated eight million caregivers in Canada save the health-care system $26 billion every year. But at what cost to caregivers? Leaving aside the significant mental and emotional toll of caregiving, our support for friends, family and loved ones can also hit us in the pocketbook. Caregivers often struggle with reduced — or no — earnings while incurring expenses ranging from medical supplies to hospital parking. Cutting back on paid employment not only means smaller paycheques, but may also mean slower career and salary progression, and reduced pensions or retirement savings. To alleviate this burden, the federal government recently expanded its support for caregivers with its Canada Caregiver Credit. This non-refundable tax credit provides tax relief for working Canadians who are also caring for infirm dependents such as spouses, siblings or parents. The problem is that those caregivers who shoulder the largest burdens have had to quit their jobs to do so. No job, no income, no income tax — and no benefit from the Canada Caregiver Credit. This is not right and it is not fair. While the same benefit is available to all, those who most need, and most deserve, support from the federal government aren’t getting it. Making the Canada Caregiver Credit refundable would be a good start, but we should do more. 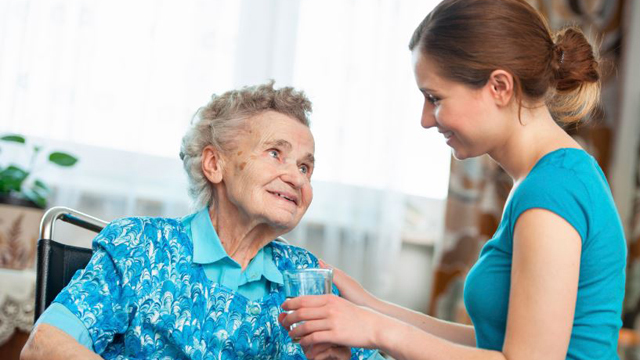 Canadian provinces and territories could follow the lead of the U.K., Australia, Nova Scotia and the Nordic European countries and pay allowances to those who assume significant caregiving duties. While the market-based rates paid to Nordic caregivers may be out of reach, even the $400 a month paid in Nova Scotia (or $112 a week in Britain or $122 a fortnight in Australia) could really help some of our most vulnerable. Changes are happening. I was recently at a Simon Fraser University campus and had my first-ever experience with a multi-stall mixed-gender washroom. It was a bit unsettling to emerge from my stall and see a man washing his hands at one of my sinks, but it’s a change I welcome, not least because it gets rid of washroom line-up inequality. Now it’s time to extend that fairness to caregivers too. Join CARP to support advocacy for federal government support for all caregivers, even those who don’t pay tax. No one should look after another’s health at the cost of their own. Grey Matters is a weekly column by Wanda Morris, the VP of Advocacy for CARP, a 300,000 member national, non-partisan, non-profit organization that advocates for financial security, improved health-care for Canadians as we age. Missed a week? Past columns by Wanda and other key CARP contributors can be found at carp.ca/blogs.